Steve and Katy Gilbert: Serving Phoenix Metropolitan Area! Senior Care Authority, the assisted living, dementia and residential care placement services franchise, announced the launch of its St. Louis, MO franchise and website, https://www.seniorcare-stlouis.com/, on June 22, 2018. Co-owners Erin Dwyer and Rhizza Hickham, who offer in-home care, nursing home, assisted living, and independent living services to St. Louis County and the greater St. Louis area, choose to partner with Senior Care Authority for it nationwide franchise leadership in an expanding healthcare industry. Erin and Rhizza, who both have backgrounds in the health services industry, choose to improve their website and online visibility with the help of SeoSamba, the international SEO and digital marketing firm. Erin points to increased online visibility in the form of search engine results and directory placements and integrated social media tools that have allowed more exposure on Facebook, Twitter and LinkedIn. Erin also highlighted SeoSamba features that allow for the easy automatic publication of corporate blogs and news. Utilizing the automated search engine optimization technology built in SeoSamba’s open source website builder, SeoToaster, Senior Care Authority, St. Louis’ website has reached new heights in a short span with Google search results. 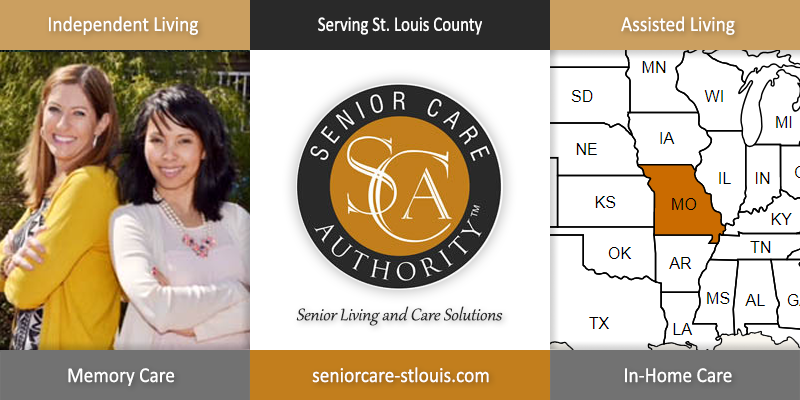 Beyond its newly acquired SEO and online marketing technology, Senior Care Authority, St. Louis helps families make informed decisions to help seniors thrive with safety and dignity. Erin Dwyer and Rhizza Hickham plan to excel by assuring that seniors “age in place” and that they help lessen the stress of moving loved ones out of their primary residence. Senior Care Authority makes the process of looking for assisted living and other care services go smoothly by saving families time, money, and added stress. The company provides the guidance concerning your loved one including finding the best places to live, receiving the proper care and navigating through a complex health care system. Erin Dwyer has a BA of Psychology from the U. of Notre Dame and a Masters of Science in Communication Disorders. She spent the last 16 years working with children and adults with special needs as a speech-language therapist in the St. Louis area. She has experience with treating clients who have had strokes, traumatic brain injuries, swallowing disorders, aphasia, apraxia, Autism, vocal disorders, & hearing impairments. Erin decided to start her SCA business with her friend Rhizza Hickham because she saw the growing number of Baby Boomers and their families seeking guidance in choosing assisted living or memory care facilities, seeking safety staying in the home, and easing transitions into facilities. SeoSamba serves thousands of small businesses around the world with service centers in the United States and Europe. Its software is privately labeled by large media companies and available in 14 languages. SeoSamba’s hub-and-spoke technology amplifies marketing effectiveness as companies scale their brand’s footprint. Franchisors can enjoy mechanical incremental benefits in their franchise recruitment efforts from participating franchisees while they generate more leads in local markets. SeoSamba offers turn-key franchise recruitment and franchise brand marketing for local lead generation packages, as well as small business and e-commerce websites packages. SeoSamba’s hybrid, open-source marketing framework is built around the SambaSaaS marketing automation hub and SeoToaster Ultimate CRM, with a sales automation cloud edition to build and market landing pages, corporate sites, directories and ecommerce websites. SeoSamba also lets you connect, then centrally market and Search Engine Optimize Enterprise WordPress websites with a free or premium plugin. For more information about SeoSamba, visit www.seosamba.com, email us at contact info@seosamba.com, or call us in the US: + (1) 877.450-9894 or in Europe at + (33) 6756376.